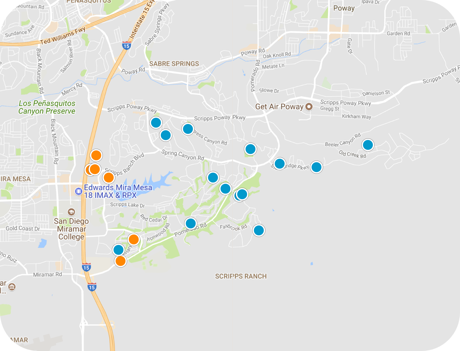 San Diego Home Sales website search offers all Scripps Ranch homes, condos and foreclosures for sale. You are able to get new property listings daily that meet your search criteria. 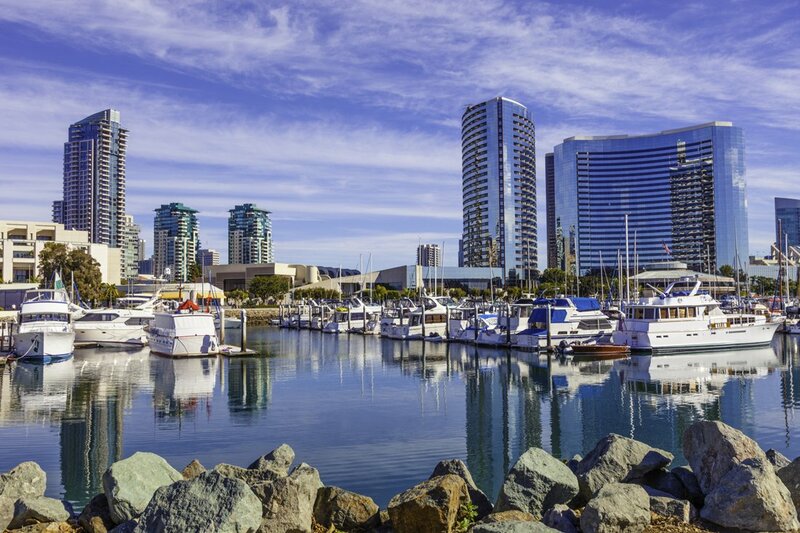 A suburban community, Scripps Ranch, California, is located just about 15 miles north of downtown San Diego, directly north of the Marine Corps Air Station Miramar and right off Interstate 15. The community of Poway is located to the north of here. The community was founded as a 400-acre ranch, later expanded to 1,200 acres, owned by newspaper publisher E.W. Scripps, and this is from where it takes its name. Estimated taken in 2008 put the community's population at more than 32,000, and it is a quite affluent community, with the median household annual income at the time measured to be $124,438. The community is home to serveral notable companies' operations, including Hitachi, LG Eletronics, Lockheed Martin and Nokia. As the community is located just north of the Marine Corps Air Station, there are a number of military members and civilian employees living in the community. The community has several parks, including Hendrix Park, Hoyt Park East, Jerabek Park and Lakeview Park, located next to Miramar Lake, a popular spot for swimming, boating, fishing and other outdoor activities. The Scripps Ranch Community Center is open for community use and can be rented out by organizations and for private parties. The community also hosts a Symphony in the Park program in the summer months. Public schools in Scripps Ranch are under the jurisdiction of the San Diego City Schools. Those located physically withinn Scripps Ranch include four elementary schools, Dingeman, E.B. Scripps, Jerabek and Miramar Ranch, Thurgood Marshall Junior High School and Scripps Ranch High School. Private schools include the Chabad Hebrew Academy, the St. Gregory the Great Catholic School, the Renaissance Village Academy and two Montessori schools. There are also two higher education institutions in the community with Alliant International University, a private school with more than 5,000 students, most of whom are enrolled in graduate programs, and the John Paul the Great Catholic University, a small, private institution founded in 2003 with a few hundred students. Buying and Selling Real Estate in Scripps Ranch - Originally, Scripps Ranch was a 400-acre ranch..